and then regret wanting it more. not to assess your reasoning abilities. Never try to hold on to these moments. 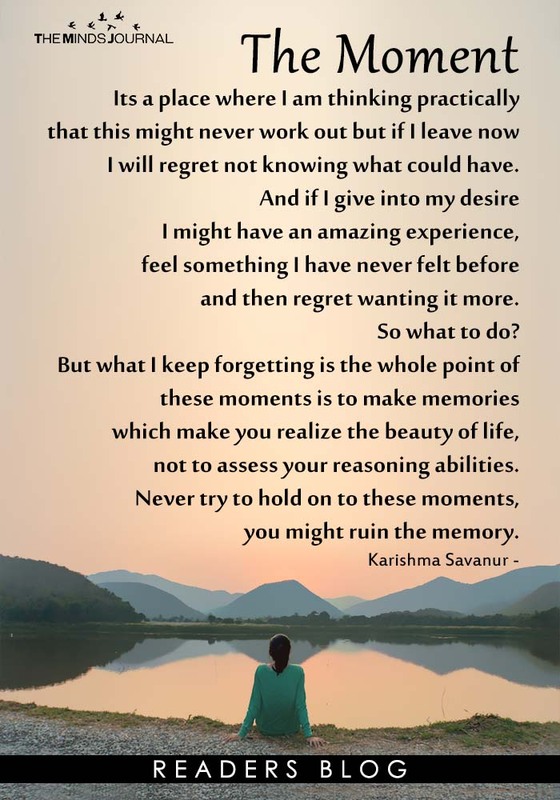 You might ruin the memory.